Today I’m going to write about a website that I recently discovered through Amiga.org. The name of the site is GOG (Good Old Games) and it can be found here. When you sign up for an account, you’ll get the option to download free games. These are (at the current moment) Tyrian 2000, Teen Agent, Beneath a Steel Sky, Lure of the Temptress, Ultima IV and Dragonsphere. Not bad for just signing up! All of these are true classics and well worth trying out if you are not familiar with them. I particularly recommend Tyrian 2000 for shoot’em up fans and Beneath a Steel Sky for bold adventurers. The catalogue of games contains some real gems like Caesar 3, Cannon Fodder, Superfrog, Fallout 1 & 2, Simon the Sorcerer 2 and Call to Power 2. For a complete list of games, please head over to the catalogue. Now, what does it cost to purchase a game through GOG? I can tell you that it is pretty cheap.. most of the titles seems to cost $5.99 (£3.89) or $9.99 (£6.49). What do you think of this store? Hope to hear from you concerning this. Are you going to sign up? Previous Amigaworld.net and A-EON Technology Hacked! I’m a huge fan of GOG and have purchased many many old school classics from them. Best of all, some of them are patched to work on modern hardware/software which was brilliant as I got to play Interstate 76 all over again! Haven’t played this since the days of Voodoo 3dfx cards! Nice to see some of Team 17 classics being released. Only ever played them on the Amiga but like the idea of Tower Assault for my Windows netbook. Good to hear that you are happy with GOG. I think it looks great so far. More stuff will probably be added in the future. When I first read your comment, I noticed that you mentioned Under a Killing Moon. I’ve always wanted to play this game, but sadly I’ve forgot about it. 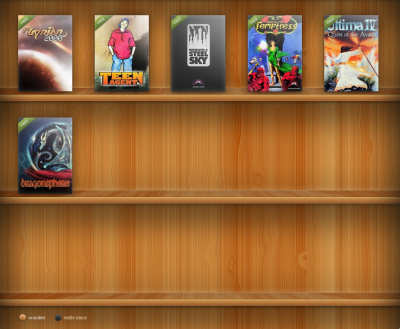 I therefore went to GOG and bought it as a Weekend-gift for myself. 😉 Had a go at it and it is great.. 🙂 Love it so far! It worked right out of the box on Windows 7, which was great. That is pretty killer. I will have to go through that site later. Hi mate! Thanks for the comment. The website sure is great. 🙂 Enjoy! The theme I use is called zBench and it was by Zwwoooo. You can find it on WordPress. 🙂 There is a link to it at the bottom of my blog. Thanks for commenting and for visiting my blog. Maybe you are thinking of the Bust-a-Move / Puzzle Bobble series of games?